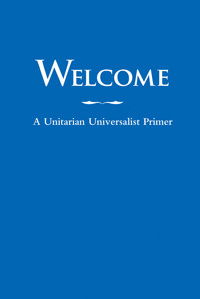 The name of this religious congregation, a non-profit corporation, organized under the laws of the State of Utah, shall be the Cache Valley Unitarian Universalists. Whenever “CVUU” or “the Congregation” is used in these bylaws it shall mean the legal organization of the Cache Valley Unitarian Universalists. “A vote of the Congregation” or any similar phrase shall mean a vote of a quorum of CVUU’ s members at any duly held Congregation Meeting. Section 1: Cache Valley Unitarian Universalists affirm the inherent worth and dignity of all people. In liberal spiritual community we cherish the earth, quest for knowledge, understanding and truth, and promote social action. Section 2: This Congregation shall be a group of free minds in the study and practice of liberal religion, the development of the human potential of its participants, and the building of a better local and world community. Section 1: Eligibility: All persons who share the purpose and spirit of the Congregation are welcome as members, regardless of race, religion, color, creed, gender, sexual orientation or identity, disability, or national origin. A. A Member of the congregation is any person eighteen (18) years or older, or by approval by the Board of Trustees, fourteen (14) years or older, who is in sympathy with the Congregation’s purpose and program and the Principles and Purposes of the Unitarian Universalist Association; commits to fulfilling the expectations of membership set forth below; has signed the Congregation’s membership book; and has not assumed inactive status or resigned as a member. B. An Affiliate of the congregation is any person who, though not a member, is active in the Congregation and/or who makes a contribution of record to the Congregation and commits to fulfilling the expectations set forth below. The Congregation encourages affiliates to become members in order to fully participate in the Congregation. C. A Friend of the congregation is any person who participates in congregational activities, but who has not made a decision to support the group with a contribution of record or to formally become a member by signing the membership book. The Congregation encourages friends to become members in order to fully participate in the Congregation. A. The Congregation will maintain a roll of active members. This membership roll shall be open to inspection by any member or prospective member at any time. The names of active members are registered annually with the Mountain Desert District and national Unitarian Universalist Association office. B. The Congregation will maintain a list of affiliates, friends and inactive members for purposes of engagement and internal communications with our full congregational community. These people will not be listed on the membership roll. A. The power to govern, to promulgate and amend the bylaws, to determine goals, to establish policies, and to resolve all matters that affect the Congregation, resides with its active members. B. Active members have full voting rights in congregational decisions and can be nominated to serve as a member of the Board of Trustees. All members of this Congregation may vote at all Congregational meetings except on questions of (1) dissolution of the non-profit corporation and/or Congregation, (2) sale or acquisition of real estate, and (3) waiving the six-month requirement for electing board members. Voting on these matters is limited to those persons who have been members for six months or longer. There shall be no voting by proxy. Voting by mail or email is permitted for such matters as the Board of Trustees may deem necessary. C. Affiliates and Friends do not have voting rights for congregational meetings, but are invited to participate in and contribute to congregational activities and deliberations. A. To retain active status, Members and Affiliates are expected to participate actively in the Congregation’s activities and to make a contribution of record to the Congregation each fiscal year. The contribution should represent the member’s or affiliate’s fair share of the Congregation’s needs, in light of the member’s or affiliate’s income and means, and the fact that generous contributions from others in the past have sustained and built the Congregation we enjoy today. If necessary, contributions of time, labor, goods or services may be made in lieu of a financial contribution. B. To remain listed as a Friend of the Congregation, individuals are expected to participate regularly in CVUU activities, programs or services. A. Change in membership status: Members, affiliates or friends may ask to change their membership status at any time by notifying the President, Minister or Secretary of the Congregation. B. Resignation of members: Members may voluntary request termination of their membership and removal of their name from the membership roll at any time by contacting the President, Minister or Secretary of the Congregation. They may elect to retain the status of affiliate or friend. C. Inactive membership status: A member shall be asked to reaffirm membership whenever the member has not participated in the activities of the Church or made an identifiable contribution to the Church, for a period of one year. Members who do not reaffirm membership at this time will be placed on inactive status. Inactive members can request to become active members at any time by meeting the expectations of membership listed above. D. Termination due to inactivity: Inactive members may be removed from the membership roll due to an extended period of inactivity for any one of the following reasons: death, relocation of residence out of the vicinity of Cache Valley and the consequent failure to make a contribution to the support of the Congregation, failure to make any contribution of record, or nonparticipation in Congregation-sponsored activities for the course of two years. Action to remove a member’s name from the membership roll shall be taken by a two thirds vote of the Board of Trustees only after reasonable efforts have been made to locate and communicate with the member. ARTICLE IV – AFFILIATION This Congregation shall remain a member of the Unitarian Universalists Association and its designated district. This Congregation will cooperate in extending the interests of the Unitarian Universalists Movement, and it is further the intention of this Congregation to make annual financial contributions equal to its full share as determined by the Association and District. Section 1: All Congregation and Board of Trustee meetings shall be conducted in accordance with Robert’s Rules of Order, Revised, to the extent they are applicable and not inconsistent with the bylaws of this Congregation. Section 2: An annual business meeting shall be held during the 4th quarter of the fiscal year at a convenient time and place designated by the Board of Trustees, for the purpose of reviewing the past year, adopting the budget, electing members of the Board of Trustees, and transacting any other appropriate business. Section 3: Special business meetings shall be called by the Board of Trustees, or by written request of any ten members of the Congregation. Section 4: The business to be transacted at all business meetings shall be set forth in the Notice of Meeting. This Notice shall be prominently displayed in the newsletter at least ten days preceding the meeting and announced at the Congregation’s service at least one week prior to the meeting date. As an alternative, written Notice of the meeting shall be mailed or e-mailed to all members at least ten days prior to the meeting. Section 5: Twenty five percent of the members but no less than ten members of this Congregation shall constitute a quorum. Section 1: Up to three members of the Board of Trustees shall be elected at each annual meeting and shall serve a term of three years beginning on July 1 and run until June 30th of the appropriate year. Section 2: A member of the Board of Trustees who has served two full three-year terms shall not be eligible for nomination or election for a period of one year following the completion of the second term. Section 3: Subject to the Congregation’s direction, the Board of Trustees shall exercise general charge of the property of the Congregation and pursuit of the Congregation’s complete program. It may appoint committee chairpersons. It may fill a Board vacancy with any person who has been a member for six months to serve the unexpired balance of that term. The six-month membership requirement may be waived if at least five board members, who have been members of the Congregation for at least six months, vote for the appointment. All paid staff assignments (e.g., administrative assistant, religious education director) and their salaries are subject to Board approval. Section 4: The Board of Trustees shall meet monthly. At its first meeting after July 1, it shall select a President, Vice President, Secretary, and Treasurer, and shall designate specific assignments to its members. All meetings shall be open to any member of the Congregation. Section 5: A nominating committee of not less than three persons, who shall not be members of the Board of Trustees, shall be elected by the Congregation at the annual meeting to search out nominees for the Board and nominating committee to be elected at the Congregation’s next annual meeting. The committee’s slate for all open board offices and board positions shall be made public a month prior to the annual meeting and nominees shall be members of the Congregation for at least six months prior to the annual meeting unless this six month requirement is waived by a majority vote of members with six months standing who are present at the Annual Congregational Meeting. Nominations may be made from the floor at the annual meeting. Section 6: Strong efforts toward a liaison and close coordination with all other Unitarian Universalist congregations within our geographic area shall be maintained. Section 7: Officers and members shall be held exempt from personal liability in the event of accident or deliberate damage on church property or at CVUU sponsored events. Section 8: Officers and members shall be held exempt from personal liability in financial matters related to CVUU such as, leases, liens, utilities, taxes, insurance, salaries, etc. Section 1: A decision to call a minister(s) or to participate in a UUA sponsored limited term professional placement must be approved by the Congregation at a special Congregation meeting, quorum being 40% of the voting members. Approval must exceed 75% of the quorum. Section 2: The minister(s) shall be responsible for the conduct of worship within the Congregation and the Congregation’s spiritual life. The minister(s) shall have freedom of the pulpit as well as freedom to express opinions outside the pulpit. The minister(s) shall be an ex officio, nonvoting member of the Board of Trustees and all committees, except he or she shall not be a member of the Nominating or Search Committee. Section 3: The minister(s) shall be in fellowship with the UUA. Section 4: The term of the minister(s) shall be at the pleasure of the congregation. Termination may be effected by resignation or majority vote of the congregation. Upon termination vote, three months notice with payment of regular compensation shall begin. Should the minister(s) offer her or his resignation, three months notice is to be given and final compensation will be at the discretion of the Board of Trustees. Section 5: A ministerial Search Committee consisting of seven members shall be elected by the congregation at a special meeting called for that purpose. The Search Committee shall search out, screen, and recommend candidates. The Congregation’s fiscal year shall be July 1 through June 30 of the following year. The Bylaws may be amended or replaced at any congregational meeting of the Congregation by a twothirds vote of those present and voting, provided that any proposed change has been included in the notice of the meeting. Section 1: Dissolution will require a two-thirds (2/3) majority vote of the Board of Trustees. In the event dissolution is contemplated, at least ten (10) days prior written notice setting forth a proposed action and time and place of meeting shall be given to the full Congregation. Section 2: Upon dissolution of CVUU, any assets remaining after payment of or provision for its debts and liabilities shall, consistent with the purposes of CVUU outlined in Article II, be paid to other charitable organizations exempt under the provisions of section 501(c)(3) of the IRS Code. No part of the net assets or net earnings of CVUU shall inure to the benefit of or be paid or distributed to any board member of CVUU.